The GGG Canelo rematch announcement may have taken a while, but what’s the old saying again? All good things come to those who wait. And wait patiently is what boxing fans have done since the first fight last September ended in controversy but at the same time thrilled with action. The news came a short time ago that discussions had finally concluded and that the contest is now in fact a reality for later this year in a rematch. Well there you have it folks. We have a fight, and what a fight it promises to be. 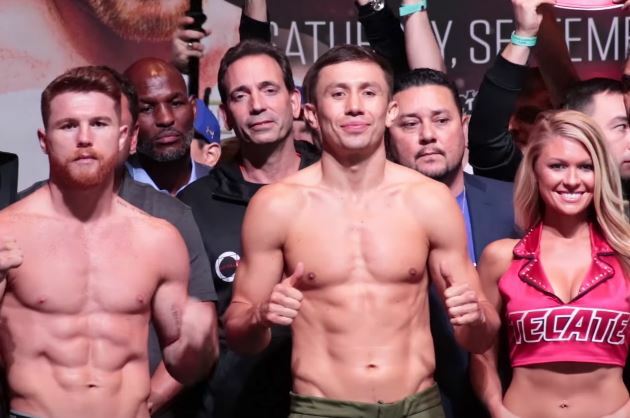 The main question for me will be what can Canelo do different if anything in the second fight, and, will Golovkin have slowed down a bit by the time of the bout. All shall be revealed soon enough. Previous Post: It’s ON: Golovkin vs Canelo Rematch Confirmed and Made Official!